Asphalt FX has an unrivalled history of supplying a professional service to the commercial market. Asphalt FX can offer you guaranteed solutions to all your asphalt surfacing and repair work. Asphalt FX will offer a free no obligation quote, work within the clients timeframe and complete a high standard of work, with a quality finish and guaranteed value for money. Building long lasting relationships with our clients is a business priority reflected in the business practices of balancing productivity with attention to detail to exceeding our clients expectations. Asphalt FX is committed to continuous improvement and incorporates the upgrading and improving of techniques and use of state-of-the-art equipment into our standard business practices. Occupational Health & Safety, Quality Assurance, Environmental and Risk Management procedures and practices are integrated into our core business systems to ensure we deliver an outstanding product without incident. Our leadership team thrives on meeting new challenges, which means even the most complex project can be achieved through commitment, creativity and innovation. Asphalt FX works in partnership with our clients, staff and suppliers to ensure the highest quality product is delivered each and every time. Asphalt FX can create your dream prestige driveway with our highly experienced staff and offering the best products available, we can make your project come alive. Looking for Asphalt Repairs Melbourne can truly rely on? Trust a company with more than fifteen years of experience in the asphalt industry. Trust a small family owned business turned extensive reputable company with staff, clients and machinery that reflects optimum standards. Asphalt FX has Minor Subcontractor Agreements in place with large asphalting companies, supporting these organizations with Labor and Plant commitment with their overflow of work. 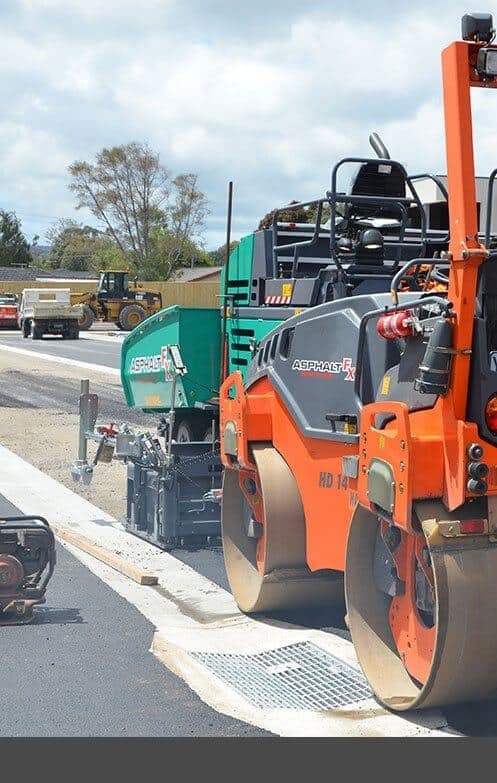 Asphalt FX has supported these companies on Major Arterial Road Developments, Freeway Upgrades, New Estate Developments, with the inclusion of Vic Roads Projects around Melbourne and Regional Victoria. As the Major Civil Contractors work demands increase, Asphalt FX are engaged to assist with the extra workload to ensure our clients meet their deadlines. Under our agreements, the Client has confidence in our capabilities of Self-Management and Supervision. Our company OHSEQ and Risk Management procedures and practices are integrated into core business systems to ensure we deliver an outstanding product incident free. Asphalt FX has been a Permanent Reinstatement Contractor to South East Water for well over a decade, covering areas within 14 municipalities covering areas from Melbourne to Mornington Peninsula to out skirts of Cardinia Shire. Delivering various reinstatement’s in roadways, footpaths and car parks, repairs ranging from 1m2 to over 2000m2. Asphalt FX undertakes emergency works from SEW burst mains that damage council assets. Example of activities are relaying full depth asphalt repairs to profiling and re sheeting repairs, our company also provides traffic management, line marking and landscaping services. We also provide emergency response units on standby 24/7, assisting in site clean ups, delivery of products to site and the option of final asphalt reinstatement if necessary. Asphalt FX is listed as a preferred Subcontractor for Kingston City Council, examples of work delivered by Asphalt FX for Kingston City Council in 2014 are Parkers Road Beaumaris Drainage Upgrade, Jacks Avenue Dingley School Safety Zone and Eel Race Rd Carrum School Crossing Upgrade. Asphalt FX was awarded these projects with competition from local reconstruction companies, all the awarded projects were delivered in a timely manner, under budget and incident free. Asphalt FX has also provided services in other Council Maintenance Programs, works such as residential street rejuvenation of re-sheeting residential streets. Asphalt FX offer the additional resources to Council, with the option of utilizing Traffic Control and Line marking companies that support Asphalt FX. Council Department Projects are delivered within timeframes, budgets.